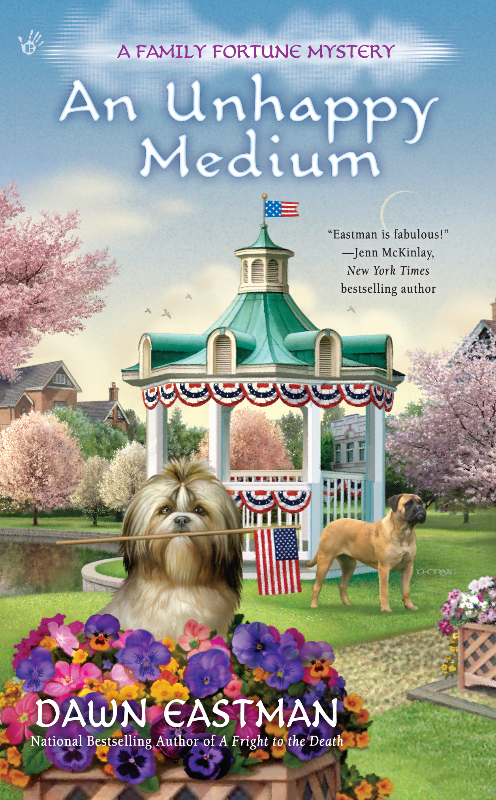 Please welcome Dawn Eastman, whose book, An Unhappy Medium, covers a most unusual topic! Thank you, Auntie M, for asking me to visit! My Family Fortune cozy mystery series takes place in a small western Michigan town with an unusual tourist draw. The town is filled with psychics. Instead of boating, dune rides, and beaches, the main business is tarot reading, fortune telling, and séances. Since my ex-cop protagonist, Clytemnestra (Clyde) Fortune, has moved back to town, there have also been quite a few murders. A couple of Clyde’s relatives are pet psychics. Her aunt has multiple clients and works with them to solve behavior issues or to locate a lost pet. Clyde’s nephew has a more untrained gift and seems to be able to read the thoughts of animals. These two characters are give me so much pleasure to write. I have always loved animals and have had many pets in my life. It has always been fascinating to watch how these animals learn to communicate with their human caregivers. While I cannot read the thoughts of animals, I have developed relationships with some of the animals in my life that make it seem as if I can. When I was growing up, my family owned a very smart standard poodle. I’m pretty sure he was training us most of the time. He seemed to have a vast vocabulary of English words and would often act as if he understood exactly what people were saying, even if the conversation didn’t involve him or his food. My brother and I taught that dog how to play “hide and seek.” The dog won every time. Of course, he found us within minutes when it was his turn to seek. But, if he was the one hiding, he could stay absolutely silent in his hiding place, even if he was in a dark closet, or we called him with the promise of treats. Later, I owned a Wheaten terrier who was very sweet but not quite as smart. However, he took his duties as babysitter very seriously. Archie had just managed to get my son through toddlerhood when my daughter was born. He felt his main job was to alert me every time the new baby cried. It was as if he thought I couldn’t hear her myself, or he had a low opinion of my parenting skills. Every time she made a peep, he came running to me with a worried look and wouldn’t leave me alone until I had picked her up to quiet her. My current dog is a very bossy bichon-shih tzu mix. He really has no trouble communicating that he has needs (demands), but not everyone knows exactly what he wants. He has been trying to train us for years. His main form of reward when we finally do what he wants is to find a squeaky toy and squeak it long and loud. I have not been able to convince him that we are not fans of his loud “thank yous.” But every time he gets fed, or gets let outside, or someone comes home, we are “rewarded” with several minutes of squeaking. I hope you’ll find time to visit my fictional psychic town of Crystal Haven, Michigan. They’re expecting you and pets are welcome. Dawn Eastman lived in Michigan for many years, in a house full of animals, unusual people, and laughter. She now lives in Iowa with her family and one extremely bossy small dog. 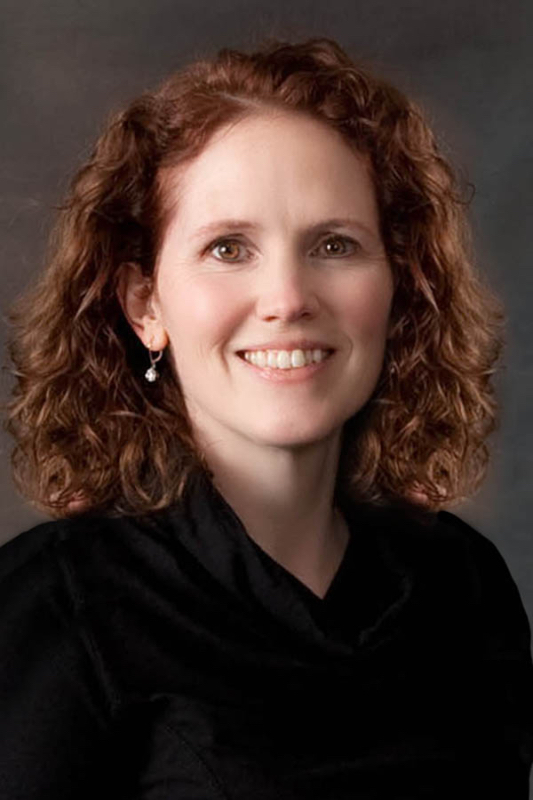 She is the national bestselling author of The Family Fortune Mystery Series, which features psychics, animal communication, quirky characters and murders. Your first two books are on my “keeper” shelf and I’ve recommended them to friends. So happy to see you have a new book! Looking forward to discovering what Clyde is up to now.